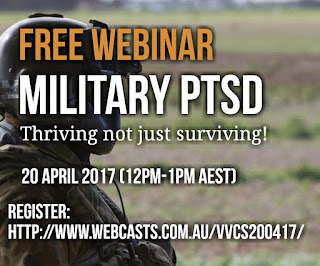 Military PTSD - thriving not just surviving! 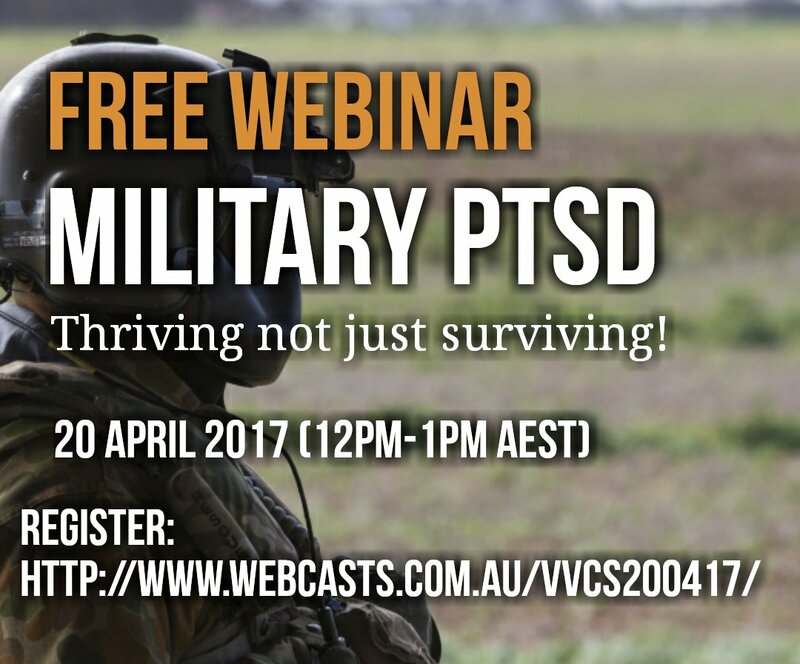 What it’s like to live with Military Post Traumatic Stress Disorder (PTSD)? How can PTSD affect veterans’ families? Take Note: The DFWA have posted this spam warning on their Facebook page. Simon Bowen, from Visible Recovery (VR) Drug and Alcohol Rehabilitation Centre, has extended an invitation for Advocates to attend an information session on Friday 05 May 17 commencing at 1200 at the centre. The aim of the session is to provide Advocates first hand knowledge of the facility and its services. VR is now an approved DVA service provider so this is another valuable resource to assist the veteran community dealing with substance abuse and PTSD. There will be a light lunch with tea and coffee provided, a tour of the facility, a presentation on services provided and a Q&A session. Visible Recovery is located at 307 South Terrace, Adelaide. The Department of Veterans’ Affairs (DVA) has broadened the use of statutory declarations as evidence in compensation claims for incidence of sexual and or physical abuse. In the absence of contradictory evidence, DVA delegates will accept a credible statutory declaration to establish the fact of abuse in claims related to incidents of physical or sexual abuse of children under 18 at the time of the abuse, when that abuse occurred before 11 April 2011. In all claims relating to sexual and physical abuse, it is open to delegates to accept a credible statutory declaration as sufficient to establish the fact of abuse, taking into account all the particular circumstance of the case and all available evidence. A statutory declaration is not the only means to establish the fact of abuse. The change in guidance is in response to issues raised at the public hearings of the Royal Commission into Institutional Responses to Child Sexual Abuse in June 2016. Minister for Veterans’ Affairs Dan Tehan said DVA had earlier established a dedicated team to manage all new claims relating to sexual and other forms of abuse and all claims would be managed with sensitivity. “Current and former Australian Defence Force (ADF) members who may be distressed by the Royal Commission are encouraged to contact the Veterans and Veterans Families Counselling Service (VVCS) for immediate support,” Mr Tehan said. “Anyone who has served full-time in the ADF can get free treatment for post-traumatic stress disorder, depression, anxiety and alcohol and substance use disorders without having to prove the condition is related to service. VVCS provides immediate free and confidential counselling service for veterans and their families 24/7 on 1800 011 046. Any survivor of sexual abuse in the ADF can lodge a claim for compensation with DVA. To apply for compensation, call 133 254 (or 1800 555 254 for regional callers).